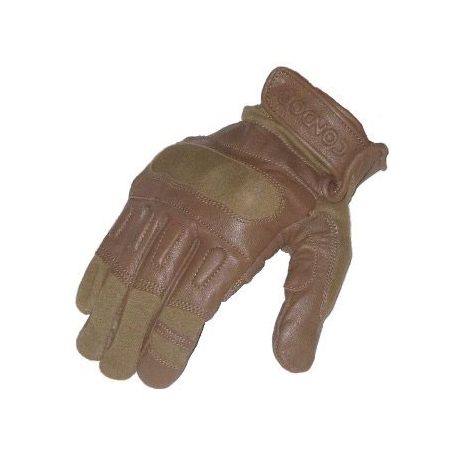 The Condor Kevlar Tactical Glove offers you the very best protection in a true tactical glove. Adjustable velcro cuff for a secure fit. 4 sizes - Small (8), Medium (9), Large (10), XL (11). Picked these things up when they were on sale. For the price, they're pretty amazing. They're very comfortable and fit snugly. They also look very awesome. I've yet to put them through rigorous testing, but so far they're great to use. Unfortunately, there are some downsides. The solid knuckles are not mirrored, simply duplicated. 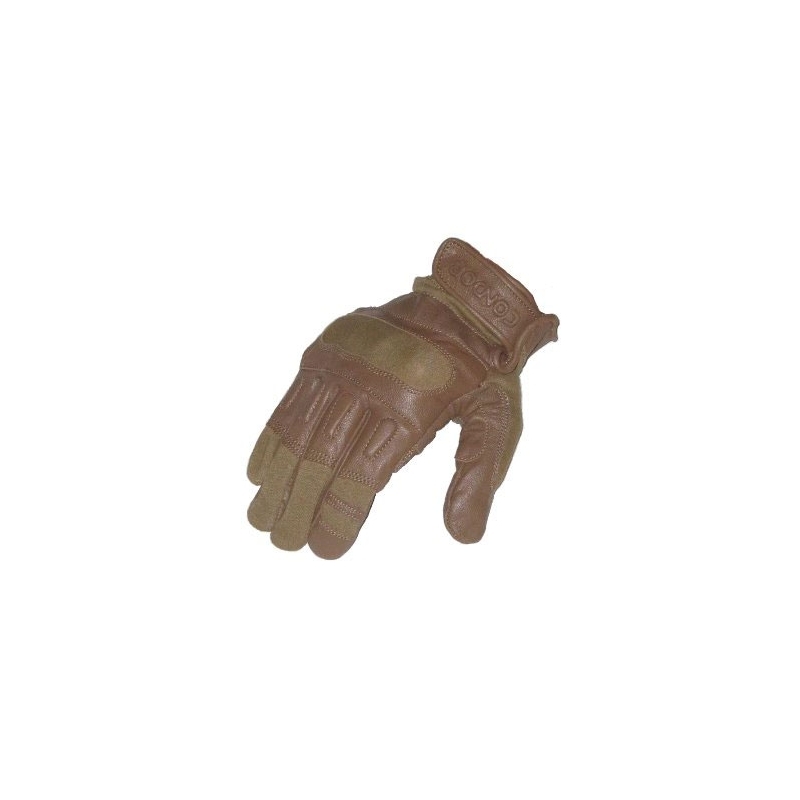 That means one of the gloves(the left) will have a significantly larger ring finger knuckle instead of the index figure knuckle. It'll feel slightly weird, but won't be a deal breaker, as even without the hard-knuckle inserts(or the soft that comes with them) there's still significant padding around the knuckles. 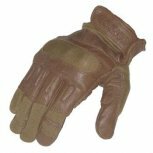 The Velcro that's in place to hold the knuckle pocket closed is very small, and can sometimes come undone(usually on the left hand side). The biggest downside so far is that it comes with a glossy tan finish, but within a few days(and a tiny bit of moisture) the coating has worn off around the fingers, thumb and on some of the palm, so the plain leather underneath is visible. Otherwise they're holding up great.